I have a rather old iOmega external hard drive which I'd like to connect to a quite new Mac, but I always get confused by Apple plugs so I have no idea what type of cable do I need. Any ideas what type of cable do I need for connecting these two? You need an USB B to A cable. 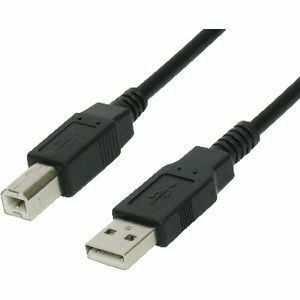 USB B is the type of connector that fits your hard drive. USB A is what you'd call "classic USB" and that fits your Mac. Alternatively you can use an Thunderbolt-to-Firewire adapter and then a Firewire cable. This might offer higher speeds. But it's also the more expensive option. Not the answer you're looking for? Browse other questions tagged hard-drive mac-mini .